Thank you, all who participated with your comments for Barbara Cline’s newest book! Drum roll please! I called my impartial judge (my mother, who had just awakened) and had her pick a number from the 89 comments yesterday……..
Lucky number 56 is our winner! Now, I am looking through the names and see that our winner is: JUDY FORKNER! I will contact Judy to tell her the good news; C&T Publishing will ship a book to her. On behalf of Barbara Cline, thank you for following the blog tour and commenting here. Remember, by going to today’s blog on the tour, leaving a comment, you have another opportunity to win Barbara’s book! My day today will be busy. I have not shared with anyone on the blog…. that I have been working on a commission quilt all summer! I rarely have the opportunity to create a quilt for hire due to my teaching, writing and travel schedule. 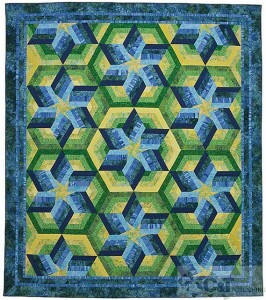 Thanks to the economy slowing down in the past couple of years, I accept a quilt commission request. Not just any quilt. Noooooo. 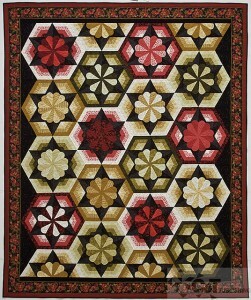 (THE TEASER): This project is a California King sized Diamond Landscape bed quilt. Oh-my-goodness. It is looking beautiful! I am posting some work-in-progress photos in the next post! Please add my blog to your RSS feed, and you won’t miss any of my <infrequent> posts! Have a great day, and CONGRATULATIONS, Judy Forkner! I am participating in a Book Review Blog Tour! This week I am reviewing Barbara Cline’s newest book, Simply Triangles. 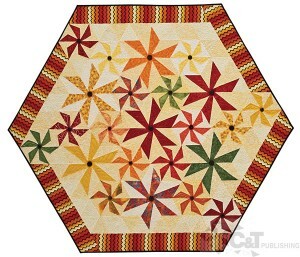 There is nothing “simple” in these beautiful quilt designs! 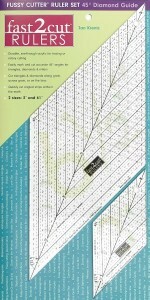 They are eye candy for the machine piecing aficionado! 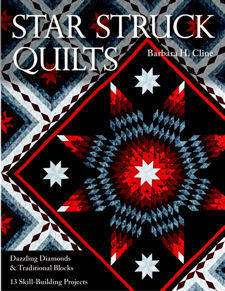 Many of you are familiar with Barbara’s first book, Star Struck Quilts – a beautiful collection of Lone Star designs with an elegant twist. My favorite new designs are shown below. Barbara’s clear instructions and unique shadowing technique will guarantee you will successfully create one of her beautiful masterpieces! In addition to eleven quilt design patterns, I enjoyed reading personal anecdotes featured throughout the book by Barbara and her family members. 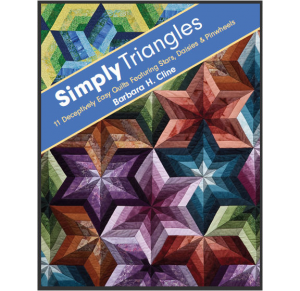 Read Simply Triangles book in several ways: follow Barbara’s introductory method instructions and understand her step-by-step techniques; read through the patterns themselves to see a variety of designs incorporating the techniques; read the personal stories and life lessons to glimpse Barbara’s personal life and wisdom. Please leave a comment below, I will draw from the participating visitors today, and one lucky person will win a copy of Barbara’s new book. 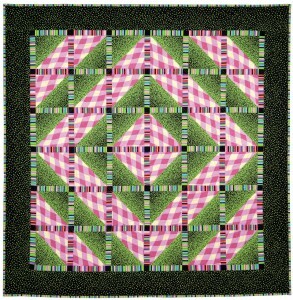 Follow Barbara at her blog, http://quiltingal.blogspot.com/ or on her website: http://www.delightfulpiecing.com/. This book is a great addition to your personal library! International winners will receive an e-book version rather than a printed copy. July Book Review Blog Tour! I am participating with others in a blog tour to review Jane Sassaman’s new book! 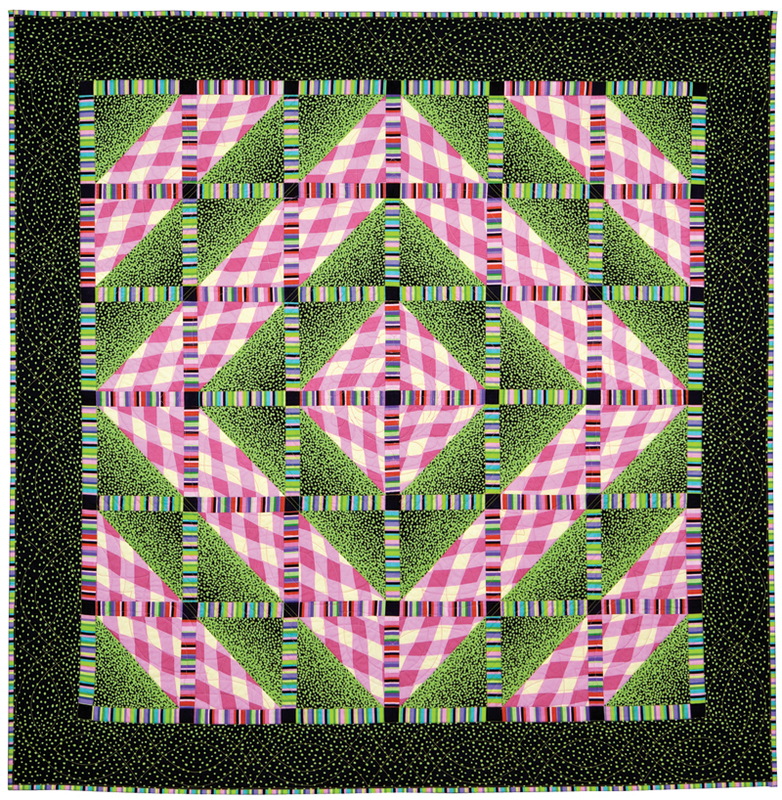 Be sure to subscribe to the RSS feed, and follow reviews of Patchwork Sassaman Style – Recipes for Dazzling Quilts! Leave a comment on my blog to enter a drawing for a free book! 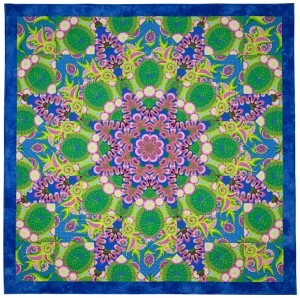 Jane’s early work was an amazing collection of stylized applique designs based upon plant life. 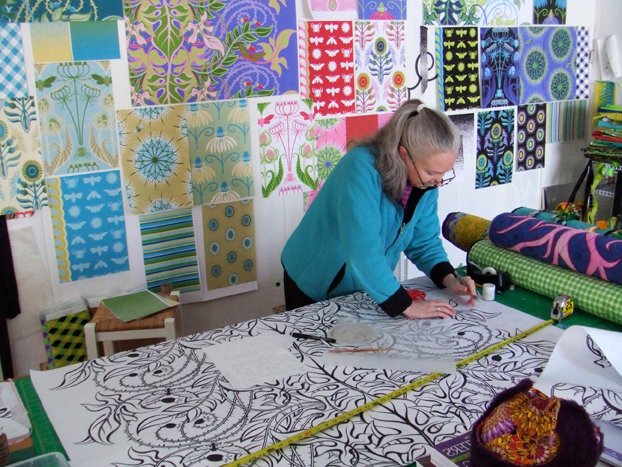 When Jane began designing fabric, she transferred those stylized botanical designs into large-scale whimsical bright fabric motifs. Jane creates simple pieced designs from her wild, wonderful large-scale printed fabrics. 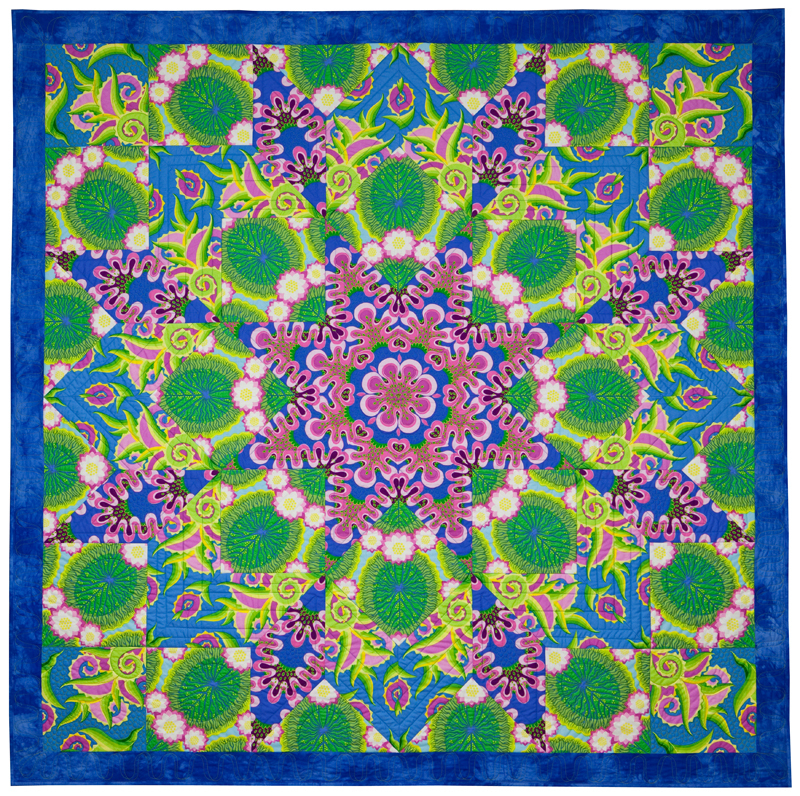 Quilters were intrigued, seeing her gorgous printed designs, and needing Jane’s vision for how they might be used successfully in a wide variety of applications: quilts, home decor, clothing and accessories. Jane and I were teaching at Empty Spools Seminars a few years ago. We were discussing simple templates for dramatic star designs. I provided Jane with a set of the fast2cut Fussy Cutter 45-degree diamond rulers.Jane began playing with diamond and star shaped medallion patterns, incorporating her gorgeous botanical fabrics into the traditional pieced designs. 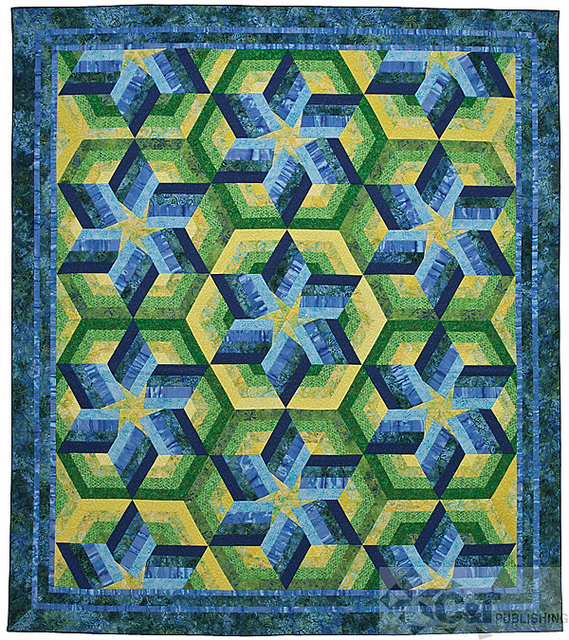 With selective diamond and square cuts, capturing various printed motifs and grouping them in traditional mediallion settings, Jane’s Broken Star quilts are spectacular! 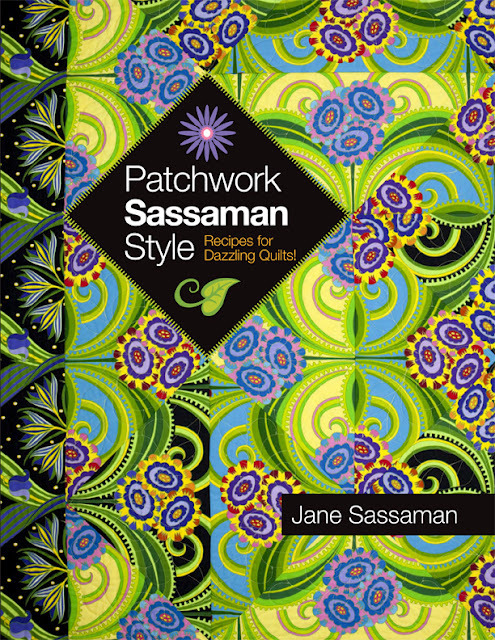 Now–enter a comment below, and you’ll automatically be entered the drawing to win a free copy of Patchwork Sassaman Style! Watch for my announcement of the winner on this blog, and I’ll contact the lucky winner by e-mail! I will count all the comments that were entered on July 18th, by midnight Pacific time. The comment contributors will all be numbered in order as I receive them, and one lucky winner’s number will be drawn!